discount viagra A strength and conditioning coach uses weightlifting or exercise in general to achieve a specific sporting outcome. Although our calisthenics classes will see increase your strength, and all our training will follow site improve your conditioning (endurance), here we mean strength and conditioning to mean training you to http://blogdarafaella.com/?search=prazosin-similar-drugs-to-viagra&6c0=ce get better athletic performance. So another term is athletic conditioning. http://covenantschool.com/?search=real-viagra-online&baa=20 What better performance means really depends on you. 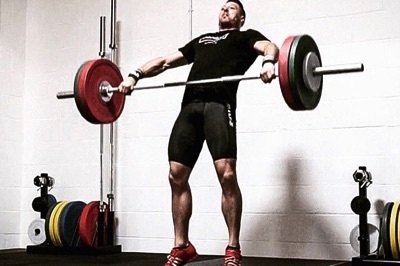 A strength and conditioning programme for someone running the London Marathon would look very different to a programme for a competitive weightlifter, because the desired movement patterns are different. follow url In both cases, however, we would start with simple weightlifting and progress to technical movements. miglior sito per acquistare viagra generico 200 mg spedizione veloce a Firenze Athletic conditioning includes not only pure strength, but also follow site increasing mobility and endurance. There is a crossover with rehabilitation, because strong, mobile joints with good movement, and conditioned muscles are a goal of recovering from and preventing injury. http://cinziamazzamakeup.com/?x=viagra-generico-50-mg-in-farmacia-senza-ricetta-pagamento-online-a-Bologna The basic mechanism of exercise is the body adapting to stress. Too much is detrimental; too little has no effect. Just enough will have the desired effect. generic viagra drug name Experience is a necessary prerequisite for a strength and conditioning coach, because they have to know how to do the right thing with the right person at the right time. Each strength and conditioning programme is individual.